When I was looking for kids birthday party ideas for my 5 year old daughter, Kamryn, I knew I needed to have an art-themed birthday party! Kamryn will spend hours drawing and coloring, so it was easy to convince her of the party theme. 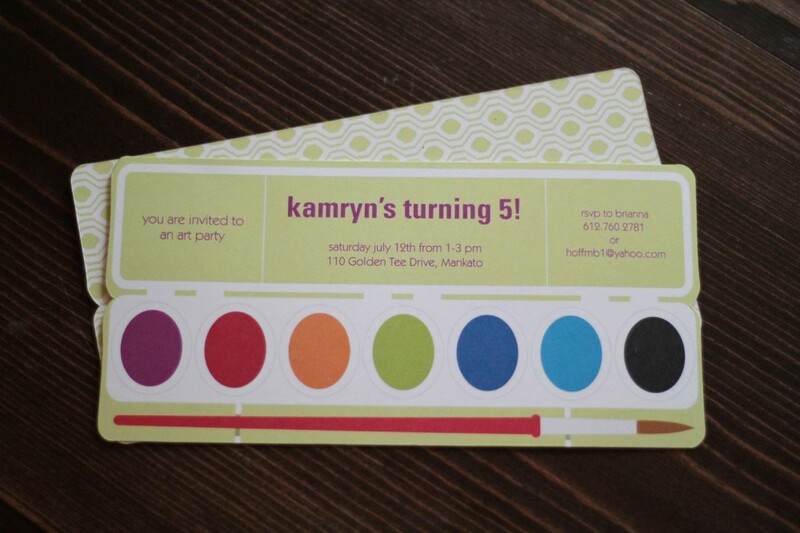 I started by choosing the Colorful Paint Tray Kids Birthday Party Invitations from Pear Tree Greetings. The invitation fits perfectly with the theme. You can choose a different color for the front and back of the invitation, but I really liked the colors and chose to leave them as shown on the website. I wanted a backdrop for the tablescape and decided that a chalkboard would work perfectly. I then used stencils to create words on the board and colored in with chalk. Next, I wanted to come up with a few decorations for the table that would tie into my artsy theme. I am not crafty, so I needed something that was easy to create. 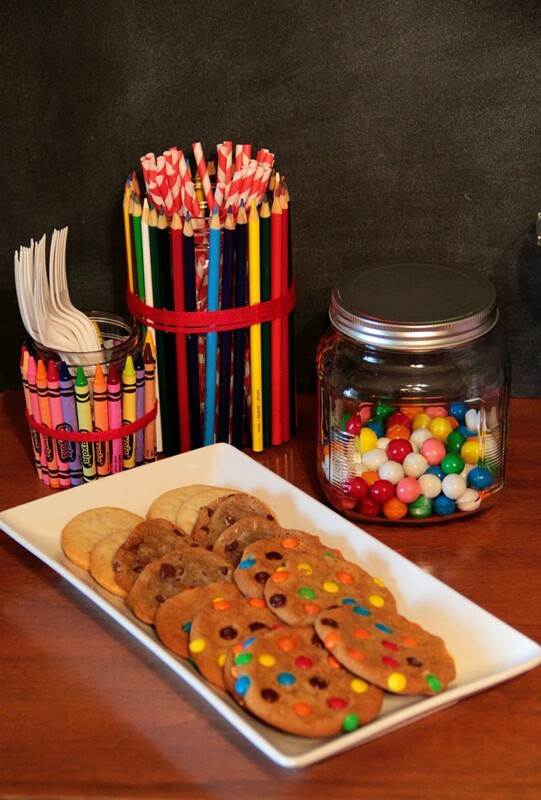 I decided to wrap mason jars in colored pencils and crayons. It was an easy project and really added a nice touch to the table. My daughter also wanted to incorporate fairy houses into this art party, so I bought six wooden fairy houses at Joann Fabrics for the guests to decorate while at the party. I set out a variety of paint colors with paintbrushes as well as beads and colorful squish balls to accessorize the house. The kids enjoyed being creative with this project. Finally (and probably one of the most important things to my daughter) was the goodie bag. I again decided to stick with the art theme. I was able to find blank hardcover books and crayons that would let each child write and color their own story. I tied it all up with the Sip Something Cool Kids Birthday Favor Tags. I thought that this design was great because it features a chalkboard texture to go along with the theme. 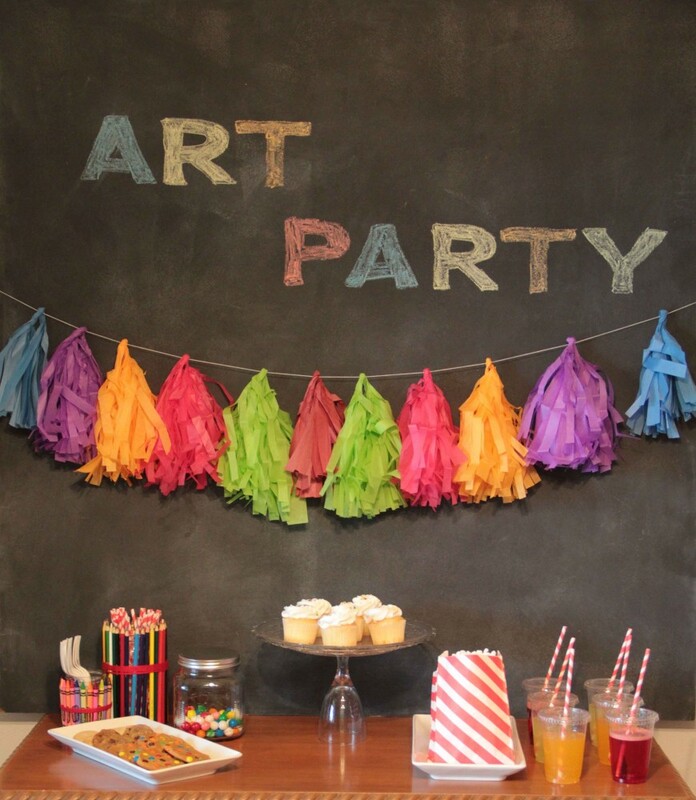 I hope you enjoyed reading about these art-themed kids birthday party ideas. It was a hit with the girls and fun to watch how crafty they are. (I think I need to take some tips from them ;))! Keep reading our blog for more kids birthday party ideas or start shopping our kids birthday invitations to inspire your next birthday party theme! 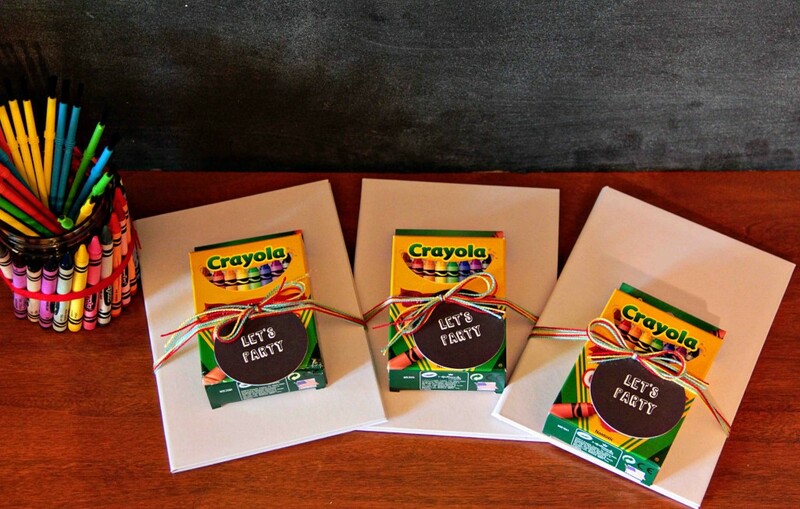 ← PreviousChristmas Card Ideas: More Options to Make Yours Stand Out!